Singapore is the world’s only island city-state, located in Southeast Asia, at the southernmost tip of the Malaysia peninsula. It was a British colony until 1963 and became an independent republic in 1965. Singapore has a population of 5.5 million, whose background is mainly Chinese and Malay. The country’s official languages are English, Malay, Mandarin and Tamil and the Singapore dollar is one of the most stable currencies in the world. Singapore company registration is administered by the Registrar of Companies and the Accounting and Corporate Regulatory Authority (ACRA). Singapore is a major global hub for commerce, finance and transport. It has been rated as the “easiest place to do business” by the World Bank for 10 consecutive years and as the “most technology ready nation” by the World Economic Forum. Other accolades it has received include 2nd most competitive country, 3rd largest financial centre, 3rd largest foreign exchange centre, 3rd largest oil refining and trading centre and one of the two busiest container ports in the world since 1990. It is the only country in Asia to have maintained a AAA sovereign credit rating for the past 10 years. The legal system of Singapore uses English Common Law as its basis. Singapore company registration is governed by the Companies Act (Cap 50) of 1967, as amended. There are no restrictions on the nature of activities which a Singapore company may undertake, provided such activities are within the boundaries of the law. Certain activities may be subject to licensing and regulation. A Singapore company registration is normally completed within one to three business days. Shelf companies are usually available for immediate use in urgent situations. There is no provision in the legislation allowing a Singapore company to continue as a company registered in another jurisdiction or for a foreign company to become registered and continue as a Singapore company registration. Details of the company’s shareholders, directors, secretary, registered office address and registered mortgages and charges are maintained by the Registrar of Companies and are available to the public. In addition, companies which do not qualify as exempt private companies must file copies of their financial statements, which will then become publicly available. In order to qualify as an exempt private company, a Singapore company must have no more than 20 shareholders, all of which must be individuals and the transfer of its shares must be restricted by its memorandum and articles. In order for the Registrar of Companies to approve a Singapore company registration, the company’s name may not be identical to an existing company’s name, nor may it be “undesirable”. The company’s name must be in English and expressed in Roman characters. The name must end in “Limited”, “Ltd”, “Sendirian” or “Sdn” to denote limited liability. A private company must also include one of the terms “Private”, “Pte”, “Berhad” or “Bhd” in its name. A private company is defined as one with a maximum of 50 shareholders and whose memorandum and articles restrict the transfer of shares. A Singapore company’s share capital may be denominated in any currency but normally it is denominated in Singapore dollars. At least one share must be issued at the time of the Singapore company registration. Bearer shares are not allowed. The minimum number of shareholders for a Singapore company registration is one. Shareholders may be natural persons or other companies, incorporated in Singapore or elsewhere. Individual shareholders may reside in any country. The shares may be held through nominee shareholders if confidentiality is required. At least one director must be appointed at the time of the Singapore company registration, who must be a resident or citizen of Singapore. Additional directors may be appointed, who may reside in Singapore or abroad. No corporate directors are allowed. It is possible for the same person to act as both sole shareholder and sole director. Meetings of the shareholders and of the directors of a Singapore company may be held anywhere in the world, including by telephone conference if this is allowed by the company’s articles of association. It is also possible to adopt resolutions in writing instead of holding physical meetings. The company’s shareholders are required to hold an annual general meeting (AGM) in each calendar year. The first AGM must be held within 18 months of the date of the Singapore company registration. This may result in no AGM being held in the year of registration of the company or in the following year. After the first AGM has been held, subsequent meetings may not be more than 15 months apart. Private companies may elect to dispense with the requirement to hold annual general meetings. Every Singapore company is required to maintain a registered office in Singapore. This is normally where the statutory registers and records and the common seal are kept, although it is possible for these to be kept at a different location. A company secretary must be appointed within 6 months from the date of the Singapore company registration. The secretary must be an individual, who is a resident or citizen of Singapore and who has adequate knowledge of the responsibilities carried by this office. If the company only has a sole director, it is not possible for the director also to act as the secretary. Singapore companies have an obligation to prepare financial statements each year, which must be in accordance with International Financial Reporting Standards. The financial statements of every company which is not a Small Private Company must be audited. In order to qualify as a Small Private Company, a company must have no more than 50 shareholders, all of whom are individuals and also satisfy two of the following three conditions: (i) its total staff may not exceed 50; (ii) its turnover may not exceed S$10 million; and (iii) its total assets may not exceed S$10 million. Singapore companies must submit an annual return with the Registrar of Companies. This must be accompanied by a copy of the financial statements unless the company qualifies as a Solvent Exempt Private Company. The conditions for a company to be considered as a Solvent Exempt Private Company are that it has no more than 20 shareholders, all of whom are individuals and that it is able to meet its liabilities. An annual tax return is also submitted with the Inland Revenue Authority of Singapore (IRAS). Singapore has adopted a territorial taxation system. This means that a company is not taxed on its worldwide income but instead on income which is generated in or remitted to Singapore. 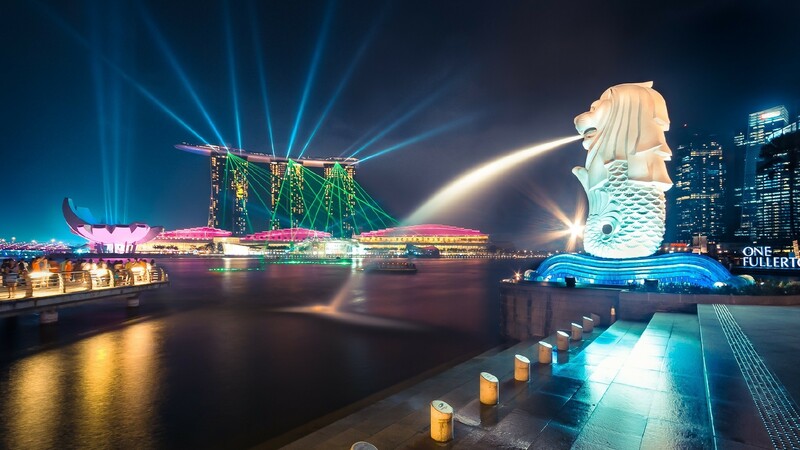 Where any underlying tax has been paid outside Singapore on the income of a Singapore company, the Singapore company is entitled to a tax credit up to the amount of tax otherwise payable. Dividend income received by a Singapore company may therefore be subject to tax if the company from which the dividend is received is taxed at a rate lower than the corporate tax rate in Singapore. The rate of corporate tax in Singapore has been declining in recent years and presently stands at 17%. For the 2016 and 2017 years of assessment, all Singapore companies will receive a tax rebate of 50% of their corporate tax payable, up to a maximum of S$20,000. Every newly incorporated company is also entitled to a tax exemption of up to S$200,000 during each of the first three years from the date of the Singapore company registration, provided the company has no corporate shareholders. 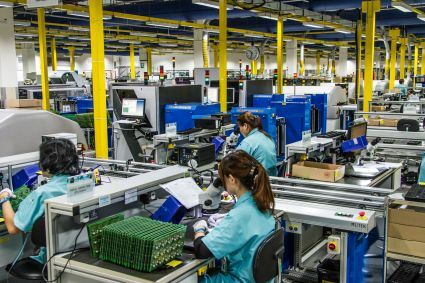 If the company’s turnover exceeds S$1 million, the company will be required to register for goods and services tax. Singapore has concluded close to 100 double tax treaties with other jurisdictions. A company may gain access to the significant benefits provided by these treaties if it is able to demonstrate genuine tax residence in Singapore. Considering the status of Singapore as one of the world’s leading international financial centres, its highly efficient government sector, political stability, modern laws and the low rates of tax, Singapore company registration is very highly sought after. Singapore companies are very effective vehicles for establishing a regional presence in Asia, for carrying out international trade operations and to act as group holding companies. The incorporation charge includes all statutory charges relating to the company’s incorporation plus a company seal. The domiciliation charge relates to the provision of registered office and, where required, registered agent for a period of 12 months. It is charged every year on the company’s anniversary. The above charges do not include any services in respect of nominee shareholders, professional directors or company secretary. These services may be requested when placing your order. As the fees for these services vary by jurisdiction, the applicable charges for your company’s jurisdiction will be shown at the time of placing your order. Payments made by bank transfer will receive a discount of 5%. The above charges are quoted in US dollars.